But Sticky Cut Letters will retire in a couple of days and you won’t be able to buy them again 😦 And they’re half price at the moment!! 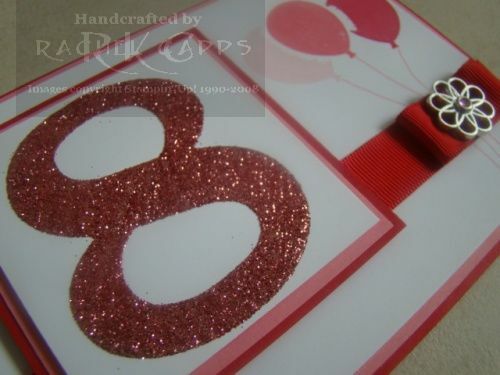 I’ve added a gorgeous pink Fine Super Nova glitter to this number 8 – doesn’t it bling?!! I masked the balloons from Big Bold Birthday too (also 50% off) – it will retire in a couple of days too! 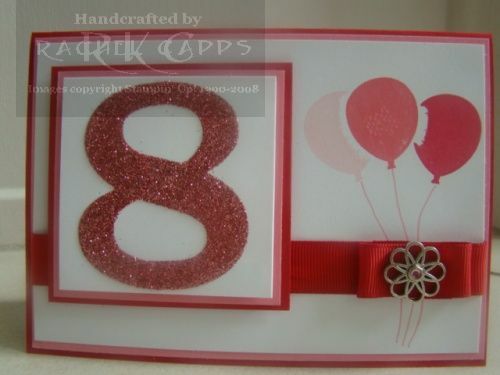 It was my beautiful cousin’s birthday a couple of weeks ago, and this is the card I made for her. I used Rich Razzleberry paper and coordinated it with the Rich Razzleberry Polka-dot grosgrain ribbon (which isn’t available anymore after the end of this month). 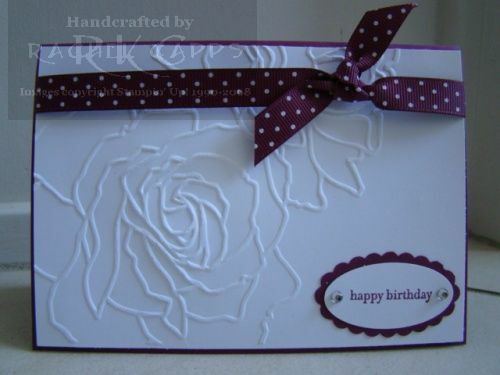 On the Whisper White, I used the Big Shot and the Manhattan Flower textured impression for this stunning flower. 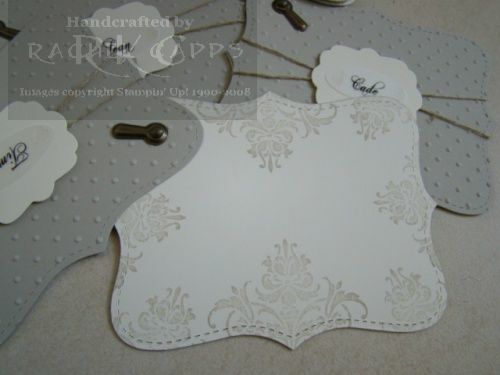 And then, for the sentiment, I used the “happy birthday” from Teeny Tiny Sentiments which I punched out using the Large Oval punch and layered on Rich Razzleberry using the Scallop Oval punch. A little bit of bling by the sentiment finished it off! 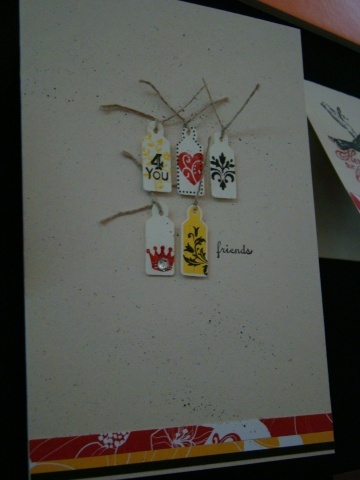 This is the last of the wedding cards I made for my lovely friend soon-to-be-bride. 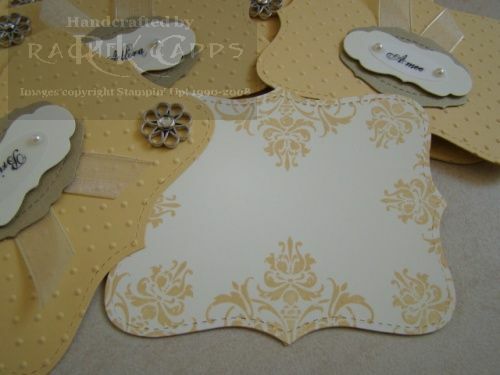 I’ve used the same colours as before – So Saffron, Brushed Gold and Very Vanilla. I stamped the En Francais in Gold ink – but stamped off to make the colour lighter. Then I stamped the Medallion in Versamark ink and covered it with clear embossing powder. I heated the powder so it melted and once that was finished, I sponged So Saffron ink around the Medallion to make it pop out – also known as the technique of emboss resist. 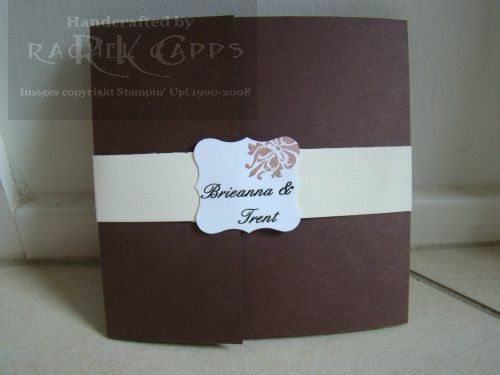 For the sentiment, SNEEK PEEK I used a new Level 3 Hostess stamp set, Occasional Quotes, and used my So Saffron marker to colour and stamp only the “thank you”. 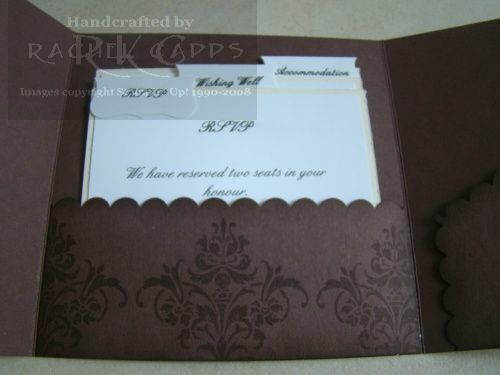 I punched the Brushed Gold cardstock with the scallop edge punch and paper pierced a strip of So Saffron cardstock with my mat pack. A few pearls (non-SU) finished it off. 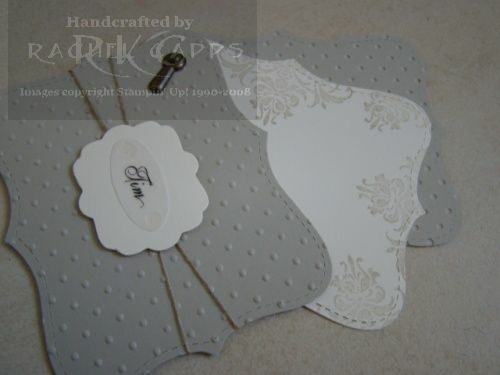 This is another of the thank you cards I’ve made for my friend’s wedding. I made it a few times, in slightly different ways, so that everyone who receives a card will still receive a unique card. 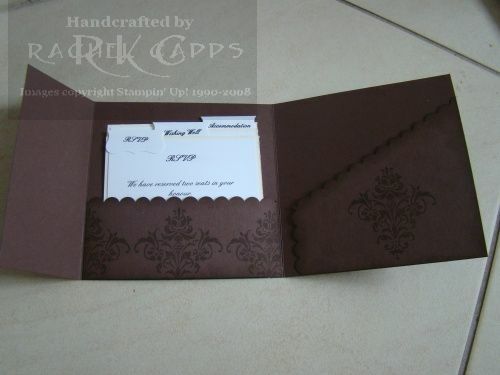 And I also stamped the envelopes to coordinate with the cards. 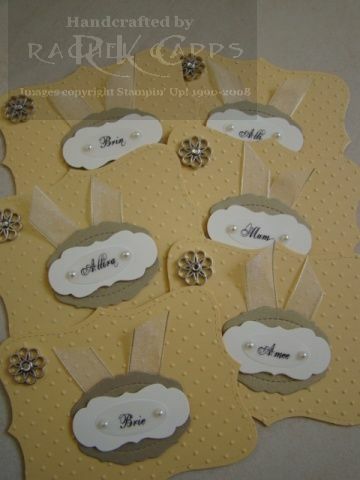 I was inspired to use the Tiny Tags stamp set by a lovely vintage card Shelli made at Convention in Sydney, Australia. 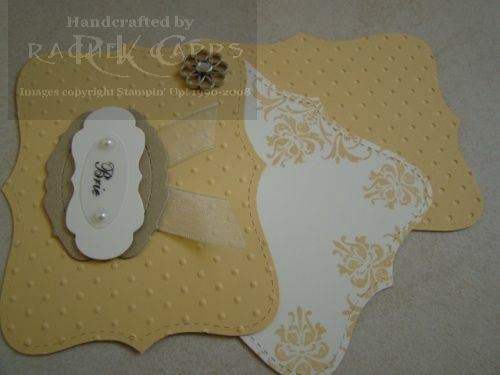 Now, Shelli hasn’t blogged this card that I’ve seen, so I hope she doesn’t mind me sharing her card which is the inspiration for my thank you cards in this post. I did take this photo at Convention. 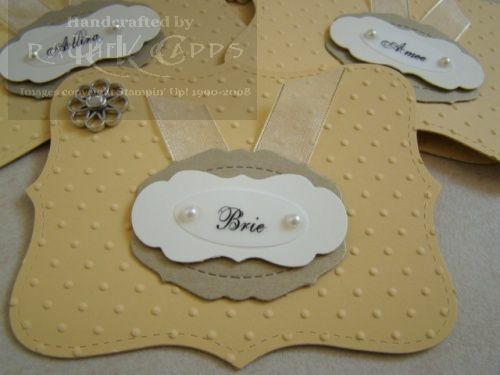 For my cards, I used the Very Vanilla (textured), Very Vanilla, Brushed Gold and So Saffron cardstock with So Saffron, Chocolate Chip and Gold ink. 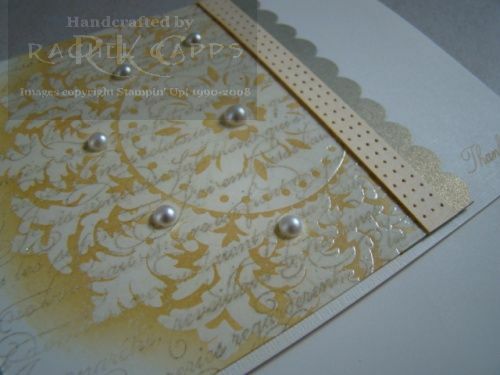 On the top card I’ve heat embossed the gold heart and crown. 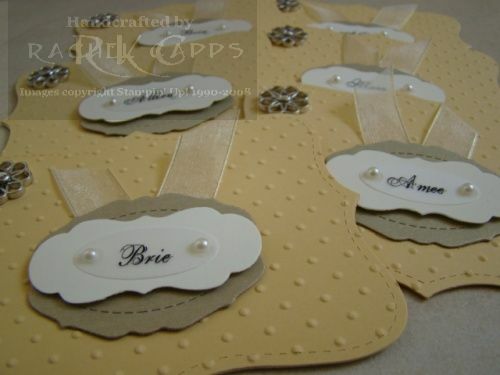 I added a few pearls to each card, some non-SU ribbon (if only I could’ve ordered from the upcoming new catalogue – I wouldn’t have used non-SU ribbon!!) 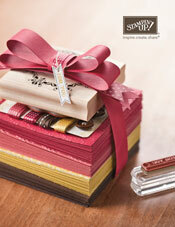 and SU gold thread (now retired). 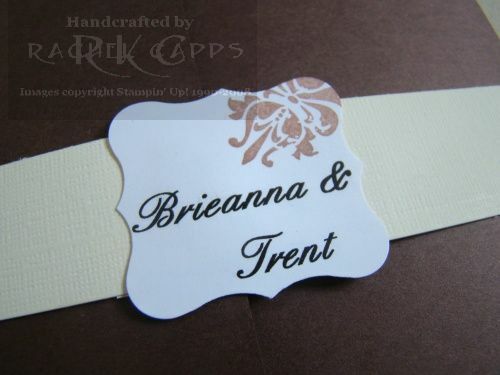 And I used the Tiny Tags punch and Scallop Edge punch too. 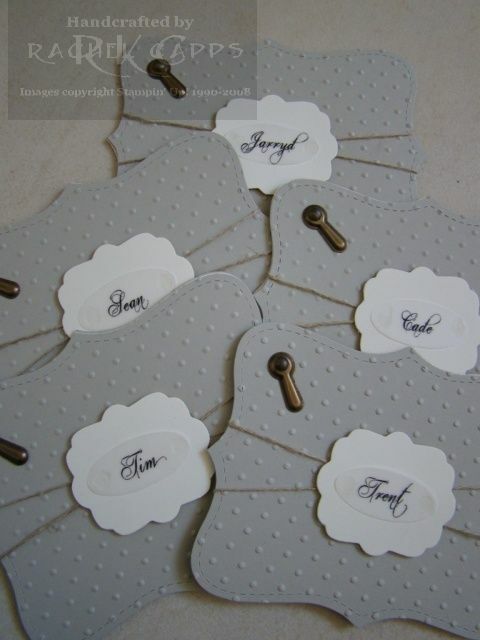 More gift tags to come for the wedding, so visit again soon!